Your May Money Horoscope begins with the end of Mercury’s retrograde that started back in April. On May 3, Mercury will complete its retrograde phase. Then it will put the brakes on and return to forward motion in Aries. Mercury retrogrades aren’t always bad for finances. Sometimes they give us a chance to reassess our financial goals and plans so they work better for us. Venus is also in Aries. She’s been picking up speed for weeks, getting back to normal after her retrograde ended. Mercury and Venus are both known for their stakes in the money game. When they’re together in such an impulsive sign, it’s a good idea to keep spending in check. Make your money work for you! 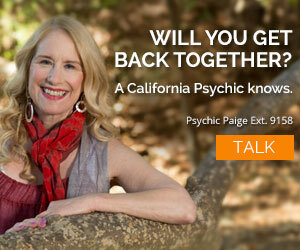 Talk to an insightful money psychic today. Due to Venus in your first house, your popularity will keep your calendar full. You may be spending more than usual on clothes and your personal appearance. This is actually a wonderful time to invest in a whole new style. However, avoid impulsive changes around the 9th, when Mercury conjuncts Uranus in your Sun sign, giving investments unpredictable results. After the 15th of May, money-minded Mercury moves into your second house of cash. This placement makes you a more discerning shopper. You’ll insist on quality and your powers of persuasion will be strong. You want a pricey item. But you’ll first justify the purchase, then convince others you shouldn’t pay what the price tag dictates. Libra in your seventh house not only helps you exude convincing charm, but also makes you a savvy negotiator. The Sun, also in Taurus until the 20th, will illuminate your extra-sharp skills in money matters. Financially speaking, you bulls always find a way of landing on all fours, so why should May be any different? In fact, if you’re gainfully employed, it’s your month to shine. Between the 20th and the 27th you’ll enjoy some astrological support if you’ve looking to score a raise or promotion. 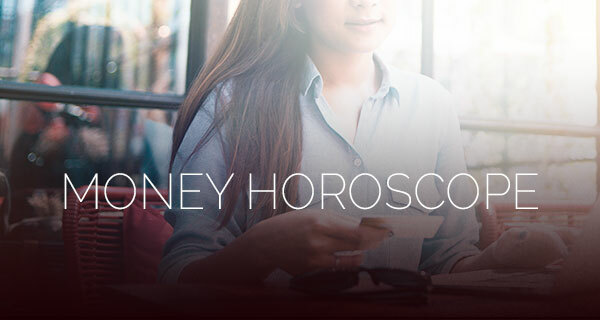 Money-savvy Mercury moves into your Sun sign on the 15th. 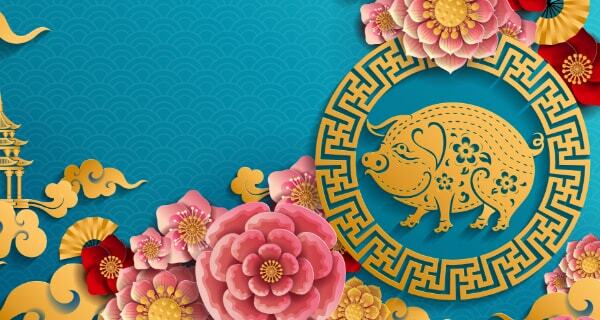 On the 25th, both the Sun and the New Moon will join forces in your second house of cash. You’ll have to give some credit to expansive and financially savvy Jupiter in your house of validity and public reputation. If you haven’t arrived at this place in life yet, you will, but keep in mind that Saturn is still in your eighth house until mid-December. Live within your means and don’t rely too heavily on credit to pay the bills. Sometimes no news is the best news; May isn’t a very active financial month for you other than working towards building a better tomorrow for yourself. That may seem boring or refreshing depending on where you’ve just come from. If others are depending less on you, then enjoy recreational activities you’ve put on the back burner. It’s a great time to splurge on a little time away. Between the 15th and the 20th, you’ll have both Mercury and the Sun in your twelfth house in the relaxed and extravagant sign of Taurus. Even though this is a great time to relax, it’s not a good time to overindulge in shopping or in eating things you normally don’t eat. You’ll need your good health and energy to carry you through the week of May 22, when work demands may pile up. Savvy Cancerians may have recently juggled with balances and interest rates to put themselves in a better financial position. It feels good to take care of obligations and give yourself a little wiggle room. In the meantime, finding things to make your place feel more like home is definitely on the agenda. 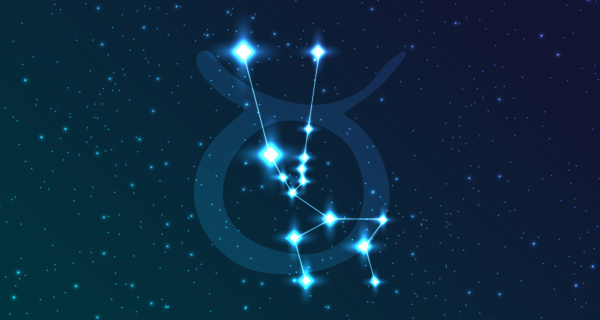 On May 15, monetary-minded Mercury moves into Taurus, a sign that’s compatible with your sense of quality and taste. If you find something you’ve been longing for but don’t like the price, be willing to let it go unless you can negotiate. If you get a bargain, you will find one more piece in the at-home puzzle, and you’ll be one step closer to your ultimate place of comfort. As work picks up speed you’re less likely to feel guilty about spending. After this month, though, start thinking about paying off bills and building the security you crave. Wondering when you’ll have more cash to spend? One of our money psychics can tell you! Before Mercury moves into Taurus on the 15th, it will be in your fellow fire sign, Aries. On May 9 Mercury will join forces with Uranus in Aries and you may come up with a winning idea that is sure to get attention. If you take advantage of this day, you may experience some surprising results. Since your employment is the major source of your monetary state, it’s a good thing that you’ll have both Mercury and the Sun working together in Taurus, your tenth house of careers, between the 15th and the 19th of May. Taurus is known for its ability to attract money and any planet is in that sign benefits greatly. Take that bull by the horns and improve your financial situation. Follow your instincts on the 25th when Venus in Aries squares with Pluto retrograde in your house of daily work and reputation. May is an interesting month for you and your finances. You still have Mars adding ambition to your career house until June 4, and that will be powered by the Sun after May 20. A Full Moon in street-smart Scorpio illuminates your ability to communicate well with people who can help your bottom line. The next four days following this Full Moon are spectacular for ironing out contracts and monetary agreements, especially the 12th of May when Mars trines Jupiter retrograde in your second house of money. This is a great aspect for positive financial and legal matters. If you’ve done your homework, you can impress a boss, client or investor with your expertise. On the 19th Venus opposes Jupiter retrograde in the same house. Whether you’re an entrepreneur or an employee, May is a stellar month to connect with the right people and get the support you need. To set the stage for your May Money Horoscope, let’s be reminded that you have lucky, expansive and gift-giving Jupiter in your Sun sign. In October, Jupiter moves into your money house for almost another full year. Both placements will do you big favors, when it comes to finances. When Jupiter is in your first house, a whole new set of opportunities line up for you over the next 12 years. And then in May you have a big, bright Full Moon in Scorpio and your money house. Scorpio is a savvy business and moneymaking sign when it chooses to be, but it is also an intuitive sign who knows when to strike. For you, that means that now is the time—whatever you’re planning for your future financial endeavors is probably spot-on. Follow your heart and your intuition in all money matters, especially during May. May could be your month of big changes to your career and financial future. Chances are you’ve contemplated this change for some time, and now with a Full Moon in your sign on May 10 also comes the signal that you should be getting ready for a new chapter. It will illuminate not only your wishes and desires, but also an opportunity you may have long waited for. There will be plenty of serendipitous moments for you and your status this month, but circle May 18 as your big day to seize the reigns. Saturn retrograde in your money house will trine Uranus in your house of daily work and reputation. That would be the best day in May if you’re ready to make a leap into the next finance-related-to-career chapter in your life. Uranus can generate some surprising results while Saturn will supply the ballast. An astrology psychic can reveal what the Universe has in store for you! 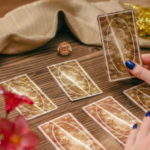 If you’re waiting for your money ship to come in, then there are two important days in your May Money Horoscope to pay attention to: The first is May 9 when Sun in Taurus, also your house of daily work and reputation, trines Pluto in your money house. This is an auspicious day to either schedule a review at work or bring your latest accomplishments to light. The second day is May 31 when Mercury in Taurus trines Pluto in Capricorn. These two days are similar in nature and will breed similar results; VIPs and higher-ups take notice. Also, the 31st is a good day to go after financial advice and monetary recognition; make appointments with financial planners, bankers and the like. Show the world, and your boss, that you’re up for the next phase of your career and you’ll likely receive your chance to shine. Mars in candid Gemini and your sixth house of daily work will be joined by the Sun after the 20th. You could find yourself in an uncomfortable situation at work or at least a situation you’d like to change. If you don’t speak up, how will anyone know? Every problem has a solution, so try to work it out. 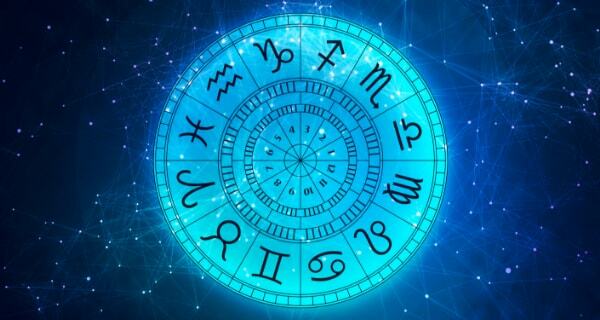 On a better note, look to May 17 when the Moon will be in Aquarius all day, forming a unique angle to lucky Jupiter in your eleventh house of rewards. This can be an exciting day of chance. Not only is this a day to play games of chance, such as the lottery or perhaps a slot machine, but chance in the bigger, more expansive, Jupiter-like sense. Go for a job you’ve always wanted and ask for that corner office with full-length windows—whatever you want is within your realm of possibilities. There’s a Full Moon in your career house on May 10 that will either illuminate the secret to your success or compel you to make a career change. Of course, how you make your money always affects your Money Horoscope, but remember that your free will rules over your astrological events. It’s all about making smart choices. Part of your motivation to change things may be wrapped around your ability to buy what you want while living within your means. Venus in impulsive Aries is still urging you to splurge on something special for yourself or your significant other, but the sticker never seems to jive with your checkbook. Strive for the life without limits you’ve been dreaming of. 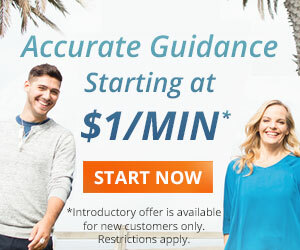 Next month you may come up with a way to earn extra cash, and perhaps even do it from home. For now, just start thinking about what might be possible. Venus in impetuous and impulsive Aries will come face-to-face with expansive and effusive Jupiter in lavish-loving Libra on May 19. This is a textbook astrological recipe for a splurge. That could spell trouble for you when you’re in the mood to shop, spend and spoil. If your own voice of reason is being drowned out by chatter between these two Hollywood-like planets, then at least make sure you have some form of brake mechanism in place, whether it’s a friend or a sensible money manager. In other words, exercise your option to dial a friend. You’ve earned the right to spend—just don’t go over the top. As a matter of fact, by month’s end you may be in a position to help a friend in need. Those are the situations that truly make you feel good—at least better than a leather jacket ever could.